The Swiss Alps are the portion of the Alps mountain range that lies within Switzerland. Because of their central position within the entire Alpine range, they are also known as the Central Alps. 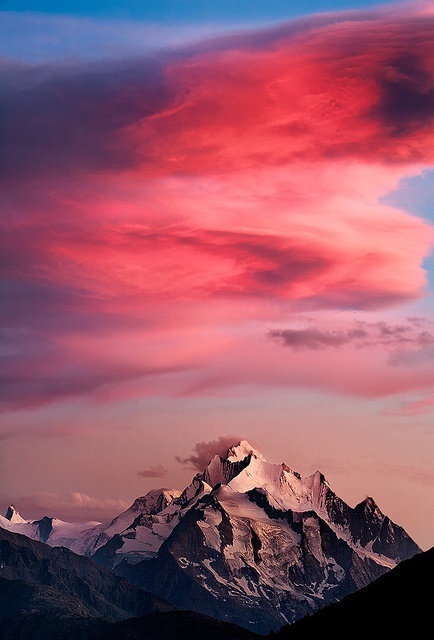 The highest summit in the Swiss Alps is Monte Rosa (4,634 metres) near the Swiss-Italian border. The highest mountain which lies entirely on Swiss territory is the Dom (4,545 metres). Other main summits can be found in the list of mountains in Switzerland.